The special high pressure quick opening closure for horizontal and vertical vessels is able to open a high-pressure vessel with up to 1.200 bar and a diameter of up to 1 meter within less than 2 minutes. Whereas a normal closure with screws and nuts would take more than a day to open and close the vessel, this patented construction provides the fast solution. It can be modified to the individual demand of the process and is already used for many different batch applications, such as extracting different substances with supercritical CO2, producing Aerogel or impregnating wood. The high pressure quick opening closure comes with a special locking mechanism to prevent it from opening with 100% safety, even in case of an emergency of the whole plant. It was developed together with the Innoweld daughter company Natex in Ternitz and is already one of the biggest players in the market of CO2 extraction. The high pressure quick opening closure can be operated fully automatically and therefore can also be implemented in a fully automated process. Its high reliability is one of the major reasons for our partners to go with this solution for their pressure vessel. 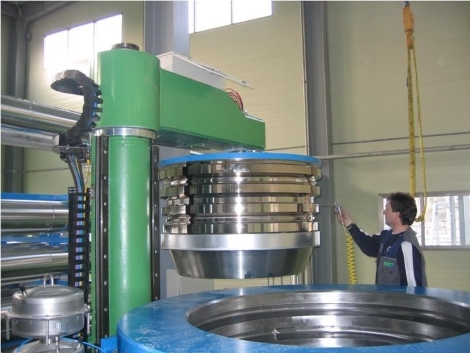 The use of a special self-locking sealing ring is a further advantage of the high pressure quick opening closure compared to other mechanically locking closures which use standard O-Rings and need to be opened by hand. 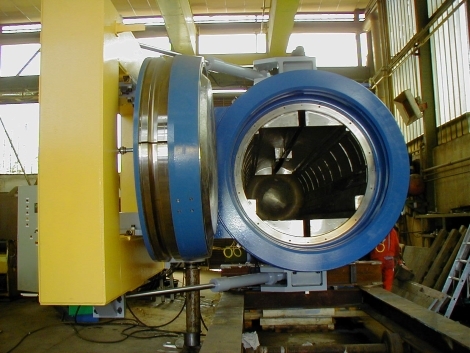 It seals itself with the increase of pressure inside the vessel and can be reused for hundreds of cycles. The high pressure quick opening closure is available in accordance with all relevant pressure vessel certifications like AD2000, ASME and more. 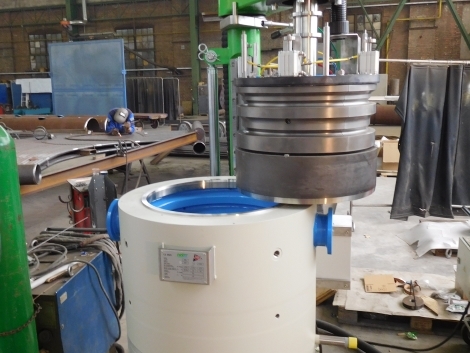 The choice of suitable material for the pressure vessel, and also for the quick opening closure, is made individually from project to project. With our experience of engineering and welding pressure vessels with wall thicknesses up to nearly 250mm, and combining them with weld overlays out of materials like nickel, nickel chromium alloys and stainless steels, we are always looking for the best solutions for our partners with their individual requirements. In addition, we also keep the economical side of the high pressure quick opening closure in mind. With our weight-saving designs, we make sure that the construction is not only technical, but also a financial success for our partners.